Alright, it’s not really top secret. Hopefully that got your attention, though! The trees are starting to bud; the nip in the air is starting to mellow; the days stretch a little longer; and flight confirmations are crowding the inboxes of TERC staff. That’s right—it’s Spring Conference Season! • On Thursday, March 29th, our own Tamara Ledley will be presenting “Climate Change Essential Knowledge and Beyond: Using the Past to Predict the Future” from 8:00-9:00 a.m. in Indianapolis’ Omni Severin. On Friday, she will be presenting as part of NESTA’s Share-a-Thon session “Atmospheres, Ocean, and Climate Change” from 11 a.m. to noon at the Indianapolis Westin, and later from 2:00-3:00 p.m. on “Teaching Climate and Energy”—a presentation full of teaching tips and tools available through the CLEAN (Climate Literacy and Energy Awareness Network) collection of resources. Tamara is a Senior Scientist at TERC, and conducts research on Earth system science and climate change. • Also on Thursday the 29th, TERC Senior Scientist Sara Lacy and Senior Science Educator Sally Crissman will be presenting the BEST Pathway Session entitled, “How Can Students in Grades 3-5 Understand Energy?” On Friday, Sally will be sharing her materials and strategies for teaching inquiry-based elementary science as part of the NSTA Elementary Extravaganza. Sara is a physical scientist currently working on this project dedicated to developing learning progressions for teaching energy and matter. Sally Crissman is a former classroom teacher and Co-Developer of The Inquiry Project. • Last but not least—Gary Curtis of Dublin Public Schools in Dublin, Ohio will be speaking about Investigating Astronomy on Friday afternoon from 3:30-4:30 p.m. 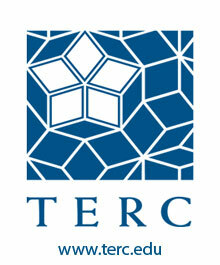 Investigating Astronomy is TERC-developed, and the first comprehensive astronomy curriculum for high school students. The IA textbook is available through It’s About Time publishers. Bon voyage, science teachers, administrators, and presenters en route to NSTA! And be sure to stay tuned for more ‘top secret’ conference previews for AERA and NCSM/NCTM! When was the first time you thought about density? When was the first time you understood density? I’d imagine most of us conceptualized weight at a young age—perhaps before we were even able to articulate as much. In my case, there were certain objects in my everyday consciousness that felt heavier, and certain objects that felt lighter. My red wooden wagon containing my kid brother qualified as ‘heavy’, but my Hop 100 (a giant rubber hopping ball with handle) was mysteriously ‘light’—despite being the same size as said brother-filled wagon. I didn’t comprehend why two objects of the same size were drastically different weights—at least not until I got through the molecular theory unit in 9th grade physical science. Admittedly, even then, understanding density— as both an a) ratio and b) volume-related notion—was NOT an easy, intuitive process. I got hung up on seemingly simple questions like: If two objects are comprised of the same material, does the heavier object take up more space than the lighter one? What if the material is different? Oil looks like it should be denser than water, but how come it isn’t? I was stuck between a rock and a hard place in my learning trajectory. And was that ‘rock’ denser than a compressed particleboard ‘hard place’? How would I go about figuring that out? Check out "Measure Lines" by Sally Crissman to learn more about Inquiry Project activities and techniques! I would have been better equipped to answer these kinds of questions (without the loads of help I received from my educator parents) if I had been exposed to The Inquiry Project. The Inquiry Project is a free, inquiry-based curriculum that provides 3rd-5th graders with a solid foundation for working with the topic of density in the middle grades. Check out “Measure Lines” by Sally Crissman, Co-Teacher and Curriculum Developer for The Inquiry Project, to learn more about how Inquiry Project guided talk involving ‘felt weight’ and measure line data plotting can prepare today’s 8-10 year-olds for those later ‘dense’ discussions. For more information, check out The Inquiry Project website at: http://inquiryproject.terc.edu. And see you next week, reporting on this year’s NSTA presentations!